TJC has been training area nurses since 1951, when it opened the Texas Eastern School of Nursing, in cooperation with Mother Frances and Medical Center hospitals. Since then, thousands of area nurses have received their start at TJC. 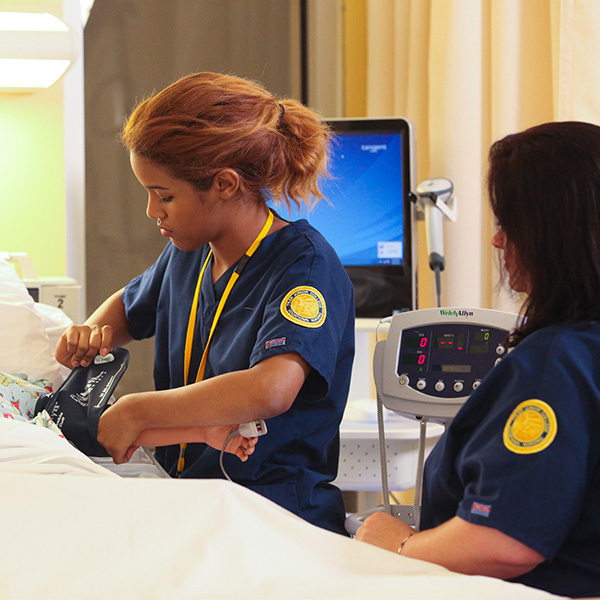 TJC offers two ways to become a nurse, the Licensed Vocational Nursing program, and the Associate Degree Nursing program, or RN program. Though they sound similar, Licensed Vocational Nurses and Registered Nurses have less in common than you may think. LVNs obtain a certificate after completing a rigorous one-year program. LVNs work in hospitals, long-term care facilities, physicians’ offices, schools and home health agencies among others. Excluding prerequisites, the ADN program requires two academic years for completion. RNs have an expanded set of duties including management, education and delegation, and are more frequently employed in hospital settings. Education: Two-year associate's degree required. Job Duties: Registered nurses (RNs) provide and coordinate patient care, educate patients and the public about various health conditions, and provide advice and emotional support to patients and their family members. Education: 18-month VN certificate required. Job Duties: Licensed vocational nurses (LVNs) provide basic nursing care. They work under the direction of registered nurses and doctors.